This time am not going to start my post with the weather of Bangalore. 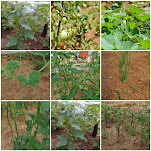 My brother yesterday called up and said that my blog seems more like a weather report on Bangalore, all its missing is a picture of mine in a business suit with a stick in hand pointing to the map beside me. Ha, very funny but I realized may be a lot of you must have been thinking the same way. 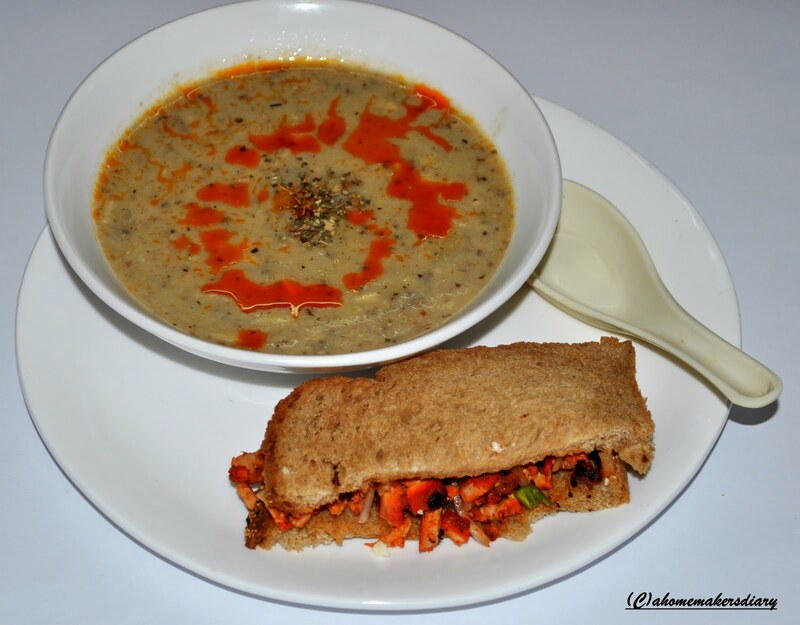 So rather today am going to give you a recipe that is very comforting to sustain such bad weathers. That’s my deliciously creamy mushroom soup with chili infused oil. 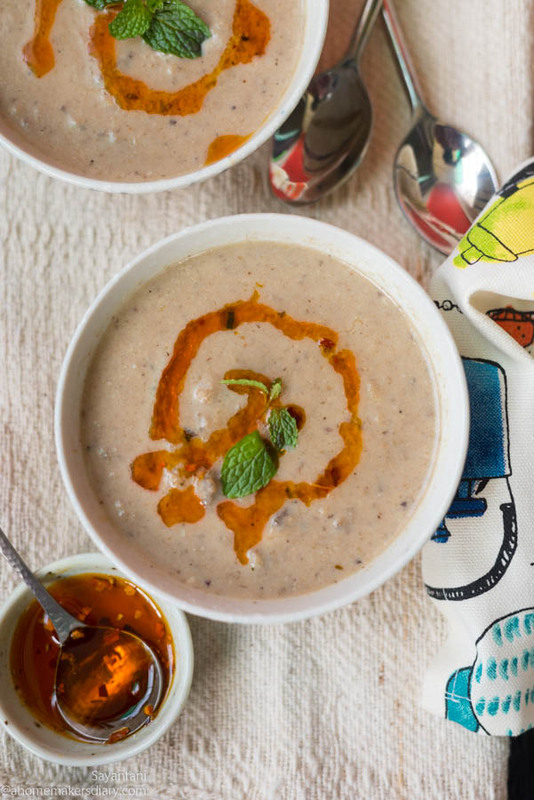 This soup is no exception but this tastes equally good without the oil. I learnt this soup from a friend of mine who learnt it from her aunt. 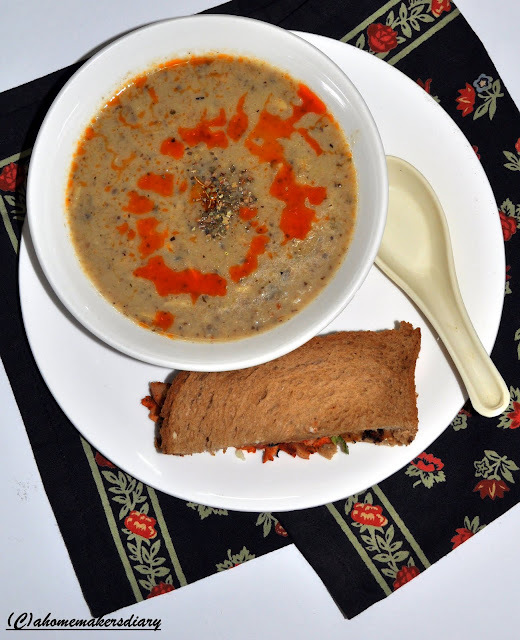 She knew I adore mushrooms so on a chilly Saturday afternoon in Delhi she invited me to her place to have this soup. She lived in a big-shared apartment with two of her sisters and other three girls. I always wanted to have sisters and envied her for the adorable sisters she had. Those were the bachelorette days of our lives and had very few gadgets…so she used a hand chopper to mash the boiled mushrooms. But at the end, I was bowled over by the rich taste of this soup. It was creamy, it was flavourful and it was lip-smackingly delicious. I loved it so much that I kept on preparing this again and again and especially during winters when curling on a couch with a hot bowl of soup seems almost like nirvana. Hubby equally loves this one and whenever he sees good button mushrooms in the market he brings home at least 2 packets and requests me to make this. With time I changed the recipe to suit my taste and to make it simpler. I omitted the soy sauce part that she used for extra flavour and used whole-wheat flour (instead of corn flour) for a healthier option. After marriage, I made this soup a few times with unflavoured soymilk but in that case, you need to use a wee bit more oregano to cover that soy smell. All in all it’s a great soup and perfect for the weather in Bangalore right now. Oops, guess am again going on the same direction so here is how I way about it. but before I start a big bunch of thanks to 'S' who taught me this. Clean the dirt on the mushrooms and quickly wash under running water. Chop in small pieces. Chop the onion and garlic and keep separate. Heat the oil in a big pan and add the chili flakes Add the garlic and fry till you get a nice aroma. Add onions, pepper powder and a pinch of salt. Fry till translucent. Add the chopped mushrooms and fry on medium-high. A lot of juice will come out. Don’t worry keep on frying, it would be soaked up in the process. Once the mushrooms are dry and fried take out 1/4th of the quantity to add little bites to your soup. Keep it aside and Add the flour to the pot and fry on low, till a nice nutty aroma comes through. Add the water, crumble in the soup stock and check the seasoning. Stir and bring it to a boil. The flour will thicken the sauce a little. Then pour the warm milk and mix everything together. Cover and let it simmer for 3-4 minutes on low. Switch it off. Now blend the whole mixture to a coarse puree. Put it back to the pan with the fried mushrooms before. Add little oregano, check the seasoning and let it come to a boil. Once the soup is thick serve immediately with toasts or sandwiches. sending this to Souper Soup Sunday at Kahakai Kitchen. and to Pari's Only: low oil/low calorie event. 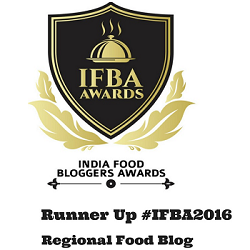 this month hosted at Priya's Mahro Rajasthan's Recipes. Thanks for a very soupy post! 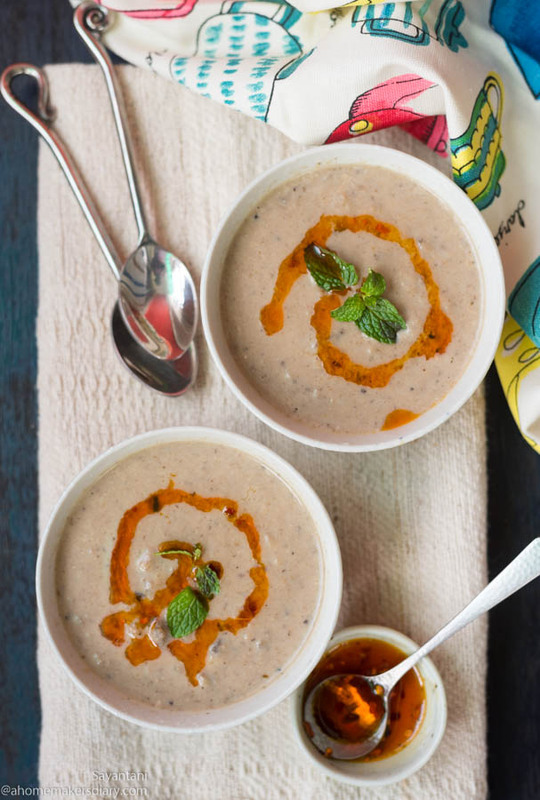 Fall's here and we will soon be craving soups here all the time! this is just fantastic....great recipe..
had a good laugh reading bout ur bro's comment! lovely healthy and mouth watering soup. Woww fabulous looking soup, looks utterly delicious and comforting.. I love mushrooms too..and the soup looks so creamy n hearty! I like that this doesn't have any cream in it also the use of whole wheat flour makes it more healthy..and just love your tangy chilli oil must have tasted even better with that drizzle..!! @S, yes if you want a good laugh you should meet my brither. he is one of those people who crack jokes with a serious face.his timing and sense of humor is too good. @Aipi, yes very true. its very healthy sans the chili oil part. I never add cream to mushroom soups as once its mashed it itself becomes very creamy. add the whole wheat flour to make it thick. 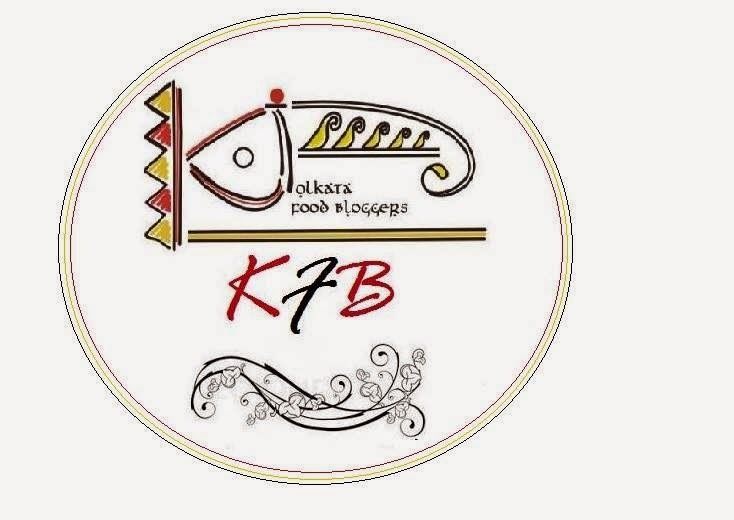 wht a lovely soups and they are really healthy n must be delicious..
Great soup primer Sayantani. Will be needing these very soon when the weather here becomes cold and unbearable. creamy soup.. loved the chilli oil drizzle! 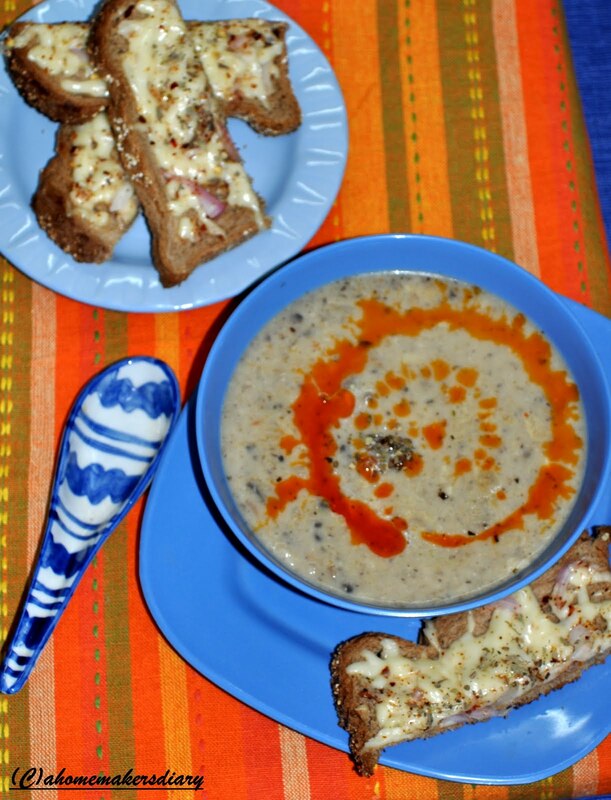 The soup is a favorite and i make a creamy mushroom soup slightly different from this one .. 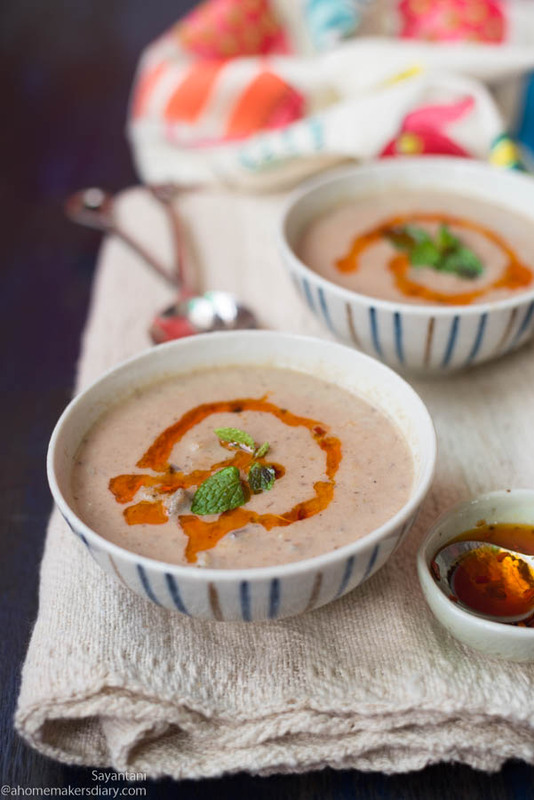 I love mushroom soup and that chili oil looks like the perfect touch. ;-) Thanks for sending it to Souper Sundays. Mushroom not my favourite. kintu barir aar sobia khoob enjoy korbe. pictures are really good. I agree so mush to Sangeeta dear, I can write a complte post on the rains and the climate here. This soup is just so wanted and adding the chili oil on top is an extremely good thought, I normally do that to any food I find bland. The Soup looks delicious. A great recipe. Ah I am in a soup :) I like to hear about bangalore weather ... he he. But only with a hot bowl of soup. LOL your brother has a great sense of humor. Coming back to the Mushroom Soup, it looks wonderful. Very simply prepared. 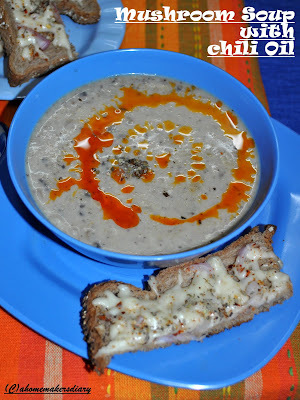 yummy mushroom soup, I love mushrooms n I love chilli infused oil even more, I always have a bottle of the infused oil in pantry n use it for all my soups. The soup looks so delicious and mouth watering...just what I need for dinner after a long day at work! Thanks for posting this recipe...I shall try shortly! Yuumy post..loved all soups so much. Timely recipe.It's getting cooler here and the leaves have already started falling..
amazing recipe...my family is in love with soups so am surely going to try this out ..you have a great blog too. 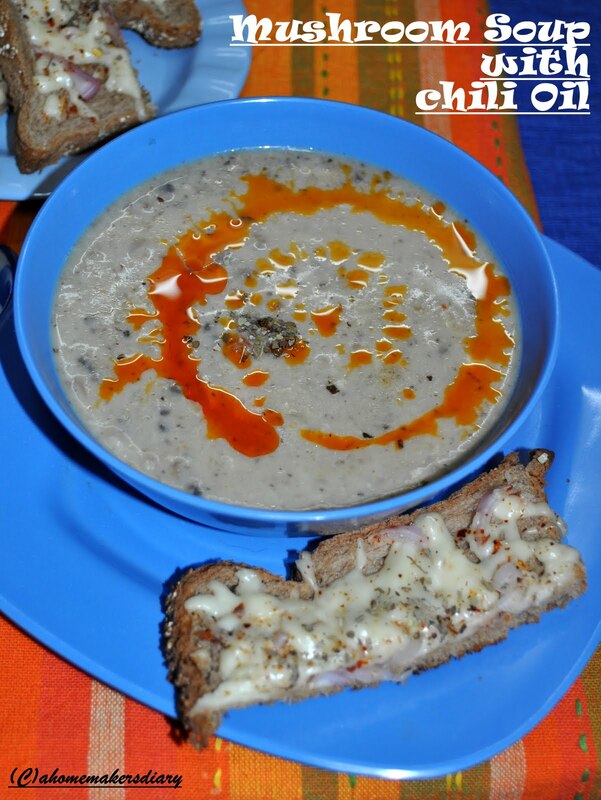 I tried your mushroom soup with a bit changes like replacing milk & oregano by chicken stock & spring onion. I didn't blend the soup to keep a crunchy taste as my husband & son love it. It came out quite delicious. They praised me, I told it's Sayantani who deserves the credit. Looking forward to some more quick veggie recipe. 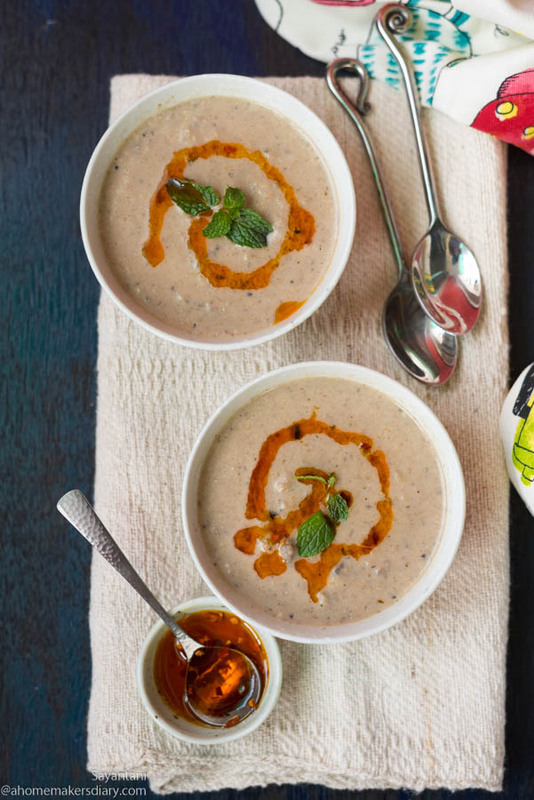 This soups sounds absolutely yummy! I love mushrooms and the season is starting here!! You know we discuss first thing in the morning about weather here, if it's going to rain or not , cloudy or sunny etc, So I guess I am with you then..And I just love mushroom soup and creamy if it is then even more good..Someday I have to try your chili infused oil in my cooking thats for sure..
Wow...this is just so lovely...love anything with chilies..never had a mushroom soup without chillies...gotta try it!